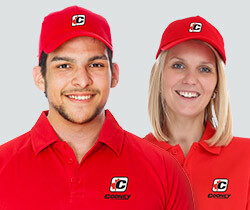 Types of Company Driver Jobs at Cooney. At Cooney Transport and Cooney Bulk sales, we're always looking for experienced company truck drivers to join our dedicated team. Below are a few examples of the types of company truck driver jobs you'll typically find at Cooney. For a complete list of current opportunities, please visit our online driver careers centre. Our Van Division consists of a modern fleet of tractors and trailers (Tandems/Tridems) generally operating within a 600-mile radius of each home terminal. As a Trans-Border Truckload Service, we haul a variety of commodities, primarily consisting of paper products, building materials, and general freight. (Dangerous Goods Shipments – Canada only). Must have two (2) years verifiable AZ driving experience. We encourage open communication with our professional drivers and all other members of our team to promote a healthy balance of work and home time. Our Van Division consists of a modern fleet of tractors and trailers (Tandems/Tridems) generally operating within a 600-mile radius of each home terminal. As a Trans-Border Truckload Service, we haul a variety of commodities, primarily consisting of paper products, building materials, and general freight (Dangerous Goods Shipments – Canada only). We encourage open communication with our professional drivers and all other members of our team to promote a healthy balance of work and home time.